A MAN has been extradited from New South Wales in relation to the investigation into the murder of Jay Anthony Brogden in 2007. The 33-year-old man arrived in Brisbane this morning after his extradition from Sydney earlier today. He has been extradited for a breach of parole following a stabbing incident in Airlie Beach in 2009. 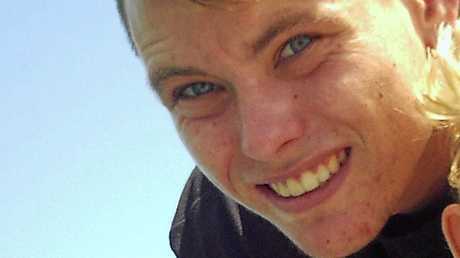 Jay Brogden, 21, who vanished in Cannonvale, north Queensland, on April 21, 2007. Police ruled he probably committed suicide but his family believes he was murdered. An inquest is being held on February 10. A billboard was erected on the Bruce Highway between Proserpine and Bowen last month in hopes the image of Mr Brogden would encourage anyone with information to come forward. A Queensland Police media statement said homicide detectives in collaboration with Whitsunday investigators were confident with today's arrest and further information which has been provided as a result of the billboard. Jay Brogden Cold Case: A man has been arrested in relation to the murder of Jay Brogden in 2007. Homicide Group's Detective Inspector Damien Hansen said inquiries have led them to the Whitsundays, Townsville, Mackay, Gympie and Brisbane. "We continue to make inquiries with people who have provided us information we believe is crucial to the investigation," he said. "The indemnity in place will only apply to those who come forward before we make an arrest for murder."